Witness Credibility: The Jury’s Deciding Factor? The Fourth Circuit Court of Appeals recently issued an unpublished opinion that highlights the tremendous impact the credibility of witness testimony can have on the outcome of a jury trial. In Paulette A. Myers v. Dollar General Corporation, Case No. 17-1785, Dollar General appealed the district court’s denial of its motion for judgment as a matter of law after the jury entered a verdict in favor of Plaintiff on her slander claim and awarded her $75,000 in compensatory damages and $250,000 in punitive damages. The lawsuit arose out of an incident that occurred at the Dollar General store in McClellanville, South Carolina. Plaintiff and her nephew were shopping when the store manager reported them to police as suspected shoplifters. Deputies detained Plaintiff and her nephew outside of the store before issuing them warning citations. No criminal charges were filed, but Plaintiff and her nephew were banned from the store. Although it is not mentioned in the opinion, local news articles indicate Plaintiff experienced some extenuating circumstances while she was detained that likely influenced the jury’s award. Specifically, she was detained for over an hour, denied a restroom break, and subsequently urinated on herself. Plaintiff filed claims against Dollar General for slander and defamation. At trial, the store manager testified that she based her suspicion that Plaintiff and her nephew were shoplifters on surveillance footage from two days prior, which she believed showed Plaintiff stealing cosmetics. At trial, Plaintiff’s niece testified she was the woman in this surveillance footage – not Plaintiff. Plaintiff testified that she and her niece did not resemble one another and were not the same height, weight, or close in age. The store manager admitted to mistakenly identifying Plaintiff in the surveillance footage and testified she had made an honest mistake. Dollar General argued that it was entitled to judgment as a matter of law on Plaintiff’s slander claim because the store manager’s statement to police was privileged as a matter of law. To prevail on a slander claim the plaintiff must establish: (1) a false or defamatory statement was made; (2) the unprivileged communication was made to a third party; (3) the publisher was at fault; and (4) the statement is actionable. Slander is considered actionable per se if the plaintiff can prove malice. This is often established when the publisher alleges the victim committed a crime of moral turpitude, such as shoplifting. However, defamatory statements that are privileged are not actionable unless a plaintiff can establish that the publisher abused this privilege. The elements of a conditionally privileged statement are: good faith, an interest to be upheld, a statement limited in its scope to this purpose, a proper occasion, and a publication in a proper manner to only the proper parties. Privilege is abused if a statement made in good faith goes beyond what is reasonable in relation to the duties and interests involved or if the statement is made with a reckless disregard of the victim’s rights. The appellate court affirmed the district’s court ruling and held a reasonable jury could have found Dollar General liable for slander either because the statement was not privileged or because Dollar General abused this privilege. The Court noted that its holding was based heavily on the credibility of the store manager’s testimony at trial, which is a jury question, as well as the jury’s conclusions regarding what the surveillance footage “did or did not show.” The Court also upheld the jury’s award of punitive damages because Dollar General failed to show on appeal that no reasonable jury could find Plaintiff was entitled to punitive damages. In sum, the Court relied on the jury’s determination regarding the credibility of the store manager’s testimony that the misidentification was an “honest mistake” and the jury’s conclusions with respect to the surveillance footage. This case serves as a reminder of just how significant of an impact witness credibility can have on a jury and, as a result, the outcome of trial. 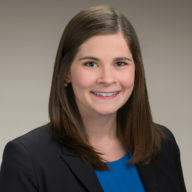 Stephanie Mascella is an associate in the firm's our Myrtle Beach office. She practices in the areas of retail & hospitality law, professional liability, and trucking defense law.